We rode out hurricane Irma at Disney World, we share our experience of the event and the service that was provided throughout the storm. Hurricane season in Florida is active between June and November each year, so it’s sort of expected you will get some tropical storm behaviour at some point throughout the year. This year was a little different, as Florida was threatened by one of the most nasty looking hurricanes it has ever experienced. As we are brits, we don’t tend to know what goes on everywhere in the world unless something major has happened, so when we left for Florida at the start of September 2017 we were not really informed that a serious hurricane (that wasn't out of the ordinary) was heading for Florida. Over the course of the week I have been reading up on Disney forums and some very harsh criticisms that people should have known about this before coming out here, but as I’ve said I don’t think non-Americans are really informed of such things. I know we certainly weren’t. I’ve been to Florida, especially Disney World, a lot of times over the last 12 years and have sat through many tropical storms as we tend to visit this time of year, but nothing quite like this was going to be. So overall we were a little more prepared and informed about the weather conditions over here than the average casual tourist, so I can’t imagine how people less informed were feeling. About the third day into our holiday it was becoming clear that a major hurricane was going to hit Florida soon. We usually do a Orlando Super Target supply run to get some water and snacks anyway, but as we realised we may be sitting through a hurricane we got some extra supplies. 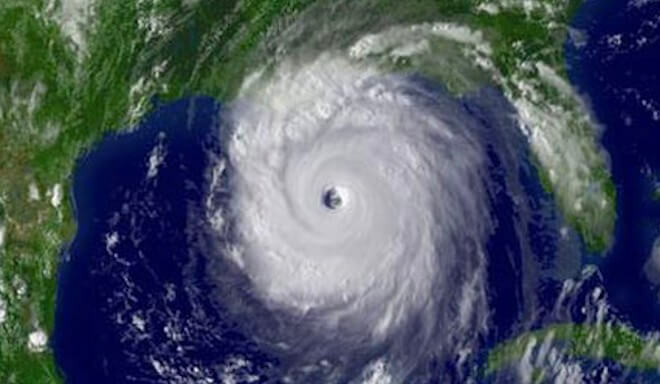 - Florida sends out emergency notifications to smart phones with hurricane warnings etc. But, you need to be connected to an American network (ATT, Verizon etc). If you are just connected to the Disney Wifi you will not be getting these notifications. It may be expensive depending on your phone plan to be connected to abroad networks, but it is a must in these situations. So we made sure our phones were connected to the American phone networks. - As I previously said, we went to Target as usual earlier on, but got extra supplies. - We prepared a “safe room”. Which in a Disney hotels would be your bathroom. Any room with no windows in the centre of the building is where your safe room should be. - We kept up to date on the TV Channel 3 and Disney’s official site for the latest information on everything relating to the storm within the resort. - We kept the news on in the background tracking the storm. We used WESH 2, as they seemed to be less dramatic and seemed to be sticking to facts rather than hyping it up like some of the major networks craving their ratings. - We bought plenty of bottled water and filled our empty bottles with tap water in the room just in case. - A few hours before the storm we took showers just in case the water went out and we’d be without water for some time. When we were done, we filled the bath tub with water for washing and filling the toilet if needed. - We put all money, passports and important documents into a zip lock waterproof bag and into a backpack and put it in the safe room with some bottled water. Should the worse happen, everything we needed to save would be there ready. - We bagged all lose items in the room that would be a danger flying around (full bottles, scissors etc). - We put a blanket and pillows in the safe room just in case we needed to rush in there. You may think some of that is over dramatic, but it’s always best to plan for the worst with an unpredictable, unfamiliar and powerful weather system. If the window blew out for example (which was happening across the state) I’d have been ready for it. Disney don’t often close their parks. In-fact they’ve only done it a few times in it’s history. It is reported they lose around $30-$50 million every day the parks are closed, so when they’re closed - there must be a good reason. Disney did a lot to comfort and entertain guests, and apparently have improved a lot compared to how they handled the hurricane in 2016. People are reporting different kinds of service. This is what what we experienced. - Disney said that the food court would be open until about 10pm. When you went down, you would report in the lobby and choose a time to go back to get your food to help reduce wait times. - They told us they would be closed all day Sunday and Monday (although that didn’t happen). - Disney were selling (pretty good value) $6 lunch bags which contained a sandwich, snacks (cereal bar, crisps and cookie) and a bottle of water. - They were also selling some hot meals. Which included pasta, burgers and pizza. I was surprised there was no real price gouging here. They were selling a big pizza for $15 (when they usually sell 1/4 of it for $10). You could use 2 quick service credits for this, but doing that wasn’t very good value, so we paid cash for our pizza dinner. - Sunday morning they announced they would be open for breakfast until noon before the storm hit. And then on Monday after the storm, they opened for lunch at noon. - Disney played 24 hour advert-free movies on one of the TV channels. - Disney made the arcades all free throughout the non-curfew hours and had entertainment and characters in some of the hotel lobbies. This is where the service varies between what was reported and what we experienced. I’d like to say I am very aware there are a lot of people here and Disney do their best to cater for everyone - I’m not forgetting that. However, we did not get any voicemails on our room telephone updating us about anything. We had to seek information out ourselves and did feel left a little in the dark at times, especially as others reported constant voicemails. We did however, get a park hours notice through our door (photos below). We were told people had another visit from housekeeping to offer extra towels and a flashlight later in the day. We didn’t get this. We walked past one of the carts and noticed a bunch of flash lights in there and asked for one on the way back to our room. Luckily it wasn’t needed as Disney didn’t lose power. In regards to our tour operator, Thomson. I had a good email contact who replied pretty quickly with any questions I had. I asked what the best thing to do was during this storm, and they told me to stay in my room. I wasn’t offered the option for an early flight home if I desired it. I got a call from Thomson about 330pm (a few hours before the storm) and asked if I had any questions and if we were alright. That was appreciated, however, if I didn't know to stock up on some supplies, that call came a little too late. It’ll be down to your own opinion on where you draw the line regarding what you should find out yourself and what you should be told, but for those who don’t know much about the weather over here will make the experience even more uncomfortable and worrying than it should have been. I did get a follow up email from Thomson to make sure we are okay and safe and offered us a refund for the 2 day ticket cost that we were unable to go the parks. The day before the storm was when it started feeling real. We went the parks and the overall mood wasn’t one of a regular Disney day. People were all glued to their phones (more than usual) and you could tell there was worry in the air. It started getting real for me when I constantly saw cast members all hugging each when their shift ended. Something I’ve never seen or noticed before. We experienced tropical storms in the past but never a full blown hurricane. Once the 7pm curfew kicked in, we bunkered down in our room, and put the news on in the background. It is rather nerve-racking watching the news, but you should really be up to date with any warnings in your area. When the storm was getting close we started getting the emergency notifications on our phones, very scary stuff. The storm was very unpredictable, and when it was Cat 4-5 going over Cuba and then starting to move up to Florida, the power of this thing was continuing to grow. It was destroying houses and buildings and we were not looking forward to its arrival. Everyone was hoping and praying for it to get weaker as it appeared to go off to the west. The more west it goes the more it would take us out of the eye, but also give us the “dirty east”. The dirty east of a Hurricane is a hotspot for tornadoes. As the storm came up, the tornado warnings starting coming in, and to be honest, the tornados is what worried me the most. It was then reported the storm weakened to Cat 2 but was making an east turn, right for Orlando. Uh oh. It was predicted originally it would be Cat 1 before it gets half way up Florida, but as it was flirting with the Gulf on the way up kept it a powerful Cat 2. No matter what direction this beast went in, it had its advantages and disadvantages. Either we get the eye and the top 100mph winds, or we continue to get tornados being in the dirty east. As we took the eye of the storm, Tampa got a bit less damage than it was projected to get, which is good for them, and all our tornados warnings went away. Phew. But, we had to endure a couple of hours the powerful eye wall of this storm passing over us. Teena fell asleep, but I decided to stay awake until the eye wall passed just in-case the window blew and we had to move quickly. The wind was intense. The building was rattling, the extractor fan in the bathroom was going mad and our door was getting hammered with gusts. Our door was rattling so much I pushed the second bed up against it as I didn't want to give the wind chance to crawl its way around it. We were on west side of building at Pop Century, and as the storm headed north with winds going in an counter-clockwise direction, I think the majority of the force was felt on the other side of the building, so the winds we got hitting our side was not as severe (but still very powerful of course). I’m no meteorologist, however. We kept our Facebook page up to date with what we were doing and letting people know what were doing and sharing any information we were getting, as it seemed to be a bit different depending on where you were. Many people were sharing with us over a variety of platforms to help each other get through it. Throughout the storm we kept our water, power and wifi! The fact Disney have their electricity wires underground really pays off in these situations. I’ve never really hated the overhyped reporting on some news channels as I did on the night of the hurricane. You don't really realise it unless you’re actually in the place or disaster that’s being reported on. They only really focus on the big things going wrong and using those big bad adjectives in their headlines, it can add unnecessary worry. The southern coasts sadly did get absolutely destroyed, but thankfully the local stations were being a little more fact reporting rather than trying to hype things up. The key is to stay safe, be prepared and watch your warnings. Almost being forced to watch the news to keep up to date with what’s going on when it’s being reported in certain ways really isn’t comforting. Lives were lost in the storm in the area, a lot of homes destroyed and the clean up will likely last a long time. Thankfully, Disney is one of the best places to be during a hurricane (on the basis you cannot leave the area) due to the their underground electricity, dedicated and trained hurricane team, buildings built to withstand high power hurricanes and the way they entertain and comfort their guests, and get the service back up and running quickly. A thank you to all cast members who helped the thousands of guests riding the storm out here. Everyone had smiles, even if they were worried themselves. If any are reading this, we love you! I know some of you most probably didn’t want to be here and had your thoughts with your families elsewhere. Here are a few of the images around Pop Century we took before and after, thankfully didn’t take too much damage.